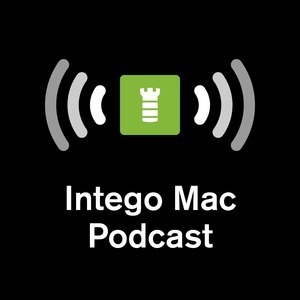 79 episodes of Intego Mac Podcast since the first episode, which aired on October 5th, 2017. Breaking news: folding phones are out, and they’re breaking. Is this a solution to a problem that doesn’t exist? We also discuss the possibility of Apple creating a Find My Everything app, and we look at advertising identifiers on iOS device, and Mozilla’s campaign to get Apple to change them every month. Mac podcaster Chuck Joiner joins us to discuss Apple's new services that were announced this week: news, games, TV, and even a credit card. We take a deep dive into spam: how it works, and how you can manage it. We also discuss another Facebook blunder, some thoughts on preventing facial recognition software from spotting you, and a new scam allegedly from the CIA. All modern web browsers provide the capability to use "private browsing," a way of maintaining your privacy when using the web. We discuss how to use this feature, as well as some browser extensions that will also mask some of your personal information. After some news about Facebook and user data (again), and a look at Apple's plan for securely managing health records, we look at Marzipan, Apple's framework for allowing iOS apps to easily run on macOS. What will the future look like? Will macOS become similar to iOS? And will we see touch-screen Macs in the future? A Messages prank, Google getting caught with a hidden mic, and password managers have flaws. And we discuss destroying hard drives creatively. Data breaches are common, and when this happens, and your data is included, you need to know what to do to protect yourself. We take a deep dive into data breaches and the things you can do to keep yourself safe. Why Doesn't Apple Have a Mac Bug Bounty Program? We discuss a new macOS Keychain vulnerability, which raises the question of why Apple still doesn't have a Mac bug bounty program. We also discuss shortcomings of two-factor authentication, the removal of the Do Not Track feature from Safari, whether or not Google Chrome's lookalike URL warnings are actually a good thing, and more. The Biggest Data Breach Ever; Is Your Data Included? Google is blocking ad blockers, but not their own ads. Apple has released a slew of updates. And the biggest data breach ever has been discovered, with 2.7 billion records. Is your data included? This week we focus on a wide range of security news. From router vulnerabilities to tweets storing precise location data; from $2 million bug bounties to Face ID issues; and lots more. We discuss Apple's trolling of other companies at the Consumer Electronics show this week, a delivery tracking app that sends and receives data in a strange way, and we then look at how Apple's ecosystem may be "under-appreciated," according to Tim Cook. As the new year rolls in, we look at some New Year's resolutions to secure your Mac and iOS devices. These are simple tips that you can apply immediately to make your devices more secure.